Hello, all! Is it just me, or does it seem that summer vacation really speeds up after July 4? I feel like the second half of summer goes WAY faster than the first part and I’m quickly realizing that I’m not checking off nearly as many things from my summer to-do list as I wanted! 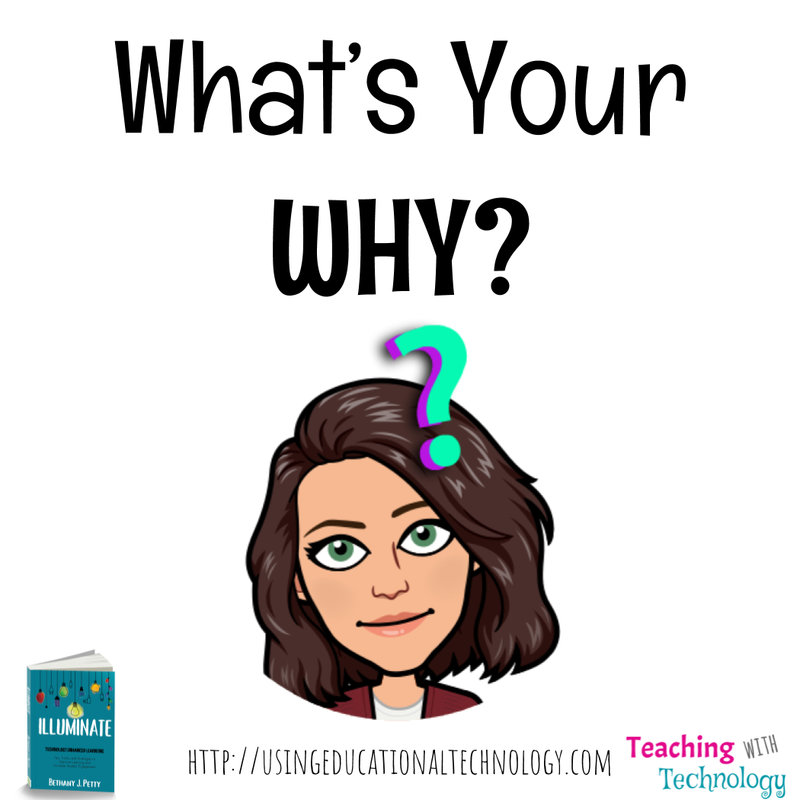 As I’m prepping for the new semester, I’m planning to share how I’m using some of my favorite digital tools in my lessons to increase engagement, illuminate learning, and make learning memorable! As you’ve probably noticed, I’m quite a fan of Nearpod and use it daily in my dual credit classes. While there are definitely more, here are 3 reasons to use Nearpod in your classroom! Seriously, how awesome is virtual reality? The fact that teachers now have the ability (through multiple tools) to virtually take students to places, past and present, to enrich their learning experience is just amazing! Nearpod allows teachers to embed virtual field trips into their lessons to transport students to amazing places around the world. In our World War II unit, I love taking my students to the Palace of Versailles, Japan after the use of nuclear weapons, the barracks at Auschwitz, and the Arizona Memorial at Pearl Harbor, Hawaii. 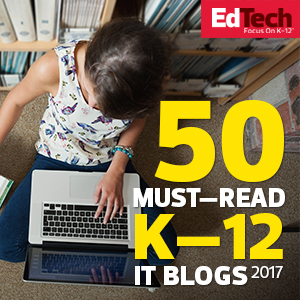 When students use their smart phones or tablets, they’re even able to walk through these places. Students using a Chromebook or laptop are able to drag and zoom on the image as they travel to distant places. Formative assessment is key in any classroom – we need to know what our students know and what they don’t know so we can help them understand what they don’t know and encourage them to apply what they know – you know?! 🙂 When creating Nearpod lessons, teachers can embed a variety of formative assessment questions – include multiple choice, true/false, and one of my favorites: draw it – into their presentation. When the lesson is launched and the class proceeds, students will view the questions on their screen and the teacher can view the results of the class in realtime. Teachers can also add formative assessment questions “on the fly” during their lesson as needed. My students REALLY appreciate the fact that they can log into a Nearpod lesson and view the information on their device without having the crane their necks around the heads of their classmates. They also LOVE that they can interact with virtual and 3D images, simulations, etc., on their own devices. The ability to view the presentation on a variety of devices also offers a great deal of flexibility for my students! I could really go on and on and ON about the wonderful features of Nearpod! Definitely check out this great digital tool and reach out if you have any questions. I’d love to help you use Nearpod to illuminate learning! Speaking of illuminating learning — be sure to check out my new book, Illuminate: Technology Enhanced Learning, for great tips and strategies for using great technology, like Nearpod, to enhance the learning environment for your students! Nearpod + Google Earth = AWESOME! When I present at conferences or schools around the state/region, I take my daughters and my Momma with me for a mini vacation! The girls hang out with Grandma in and around the hotel while Mommy gets excited about educational technology! (We leave Daddy and Papa at home to work!) Last week, I shared the awesomeness of Nearpod with a fantastic group of teachers at Pembroke Hill in Kansas City, Missouri. I LOVED their enthusiasm for teaching and their excitement for using Nearpod in the classroom! I absolutely LOVE so many features of Nearpod, but my favorite engagement tool is the virtual field trip. I LOVE being able to take my students to places around the world-I think it makes the content come to life in a way that can’t really happen with a video or primary source! As I was sharing this fabulous feature with the great teachers at Pembroke, a teacher asked if the virtual field trip feature was like Google Earth. I said that this was similar to a Google Earth activity, except that the virtual field trip was actually part of the presentation instead of linking to another site. Then, I mentioned the new updates to Google Earth … have you seen them? Google Earth now works on a Chrome browser! No more downloading clunky software that, let’s be honest, was NOT user-friendly and rarely worked – at least for me. Now, students can access Google Earth and all of its awesomeness on their Chromebooks! Woohoo! Google Earth also unveiled “Voyages” which are great collections of resources and tours for a variety of topics that can be wonderful for use in the classroom. The new version of Google Earth allows teachers to easily share locations with their students via link. Here’s where Nearpod comes in! As I was sharing the new updates to Google Earth, I had an ah-ha moment … I was talking about sharing links to locations with Google Earth, and about how Nearpod allows teachers to include websites in their presentations. THE LIGHTBULB CAME ON! Nearpod (Gold Account and above) allows teachers to include websites in their Nearpod lessons. Nearpod also offers fantastic virtual reality options, but what if you can’t quite find what you’re looking for? Go to the new Google Earth, search for a location (or use Voyages for super awesomeness! ), copy and paste the link to your selection in your Nearpod lesson, and voila! Your students are transported around the world without leaving your classroom! Sutori + Nearpod = Awesome! One of the many great things about teaching dual credit classes during summer school is that all of my students are extremely excited to learn! Classroom management is a breeze with these classes … we’re talking 100% engagement all the time (unless we get off track – which we sometimes do) One of the not-so-awesome parts about teaching summer school is dealing with the roof maintenance … directly over my classroom … during the entire day. Yes, I know. I’m complaining a bit, but it’s difficult to lecture when loud thuds and banging noises are coming from my ceiling and causing my projector to shake. Thank goodness for Nearpod and Sutori! One of the MANY perks of Nearpod is that it helps me be more mobile in the classroom during lectures and other activities. I can use my phone or iPad to advance the presentation and insert formative assessment questions during the lecture. It’s fabulous! Check out a few more of my favorite Nearpod features here. Sutori (formerly HSTRY) is a great tool students can use to create interactive timelines. These timelines can include images, videos, text, quizzes, and other great features which can transform a dull presentation into fabulous displays. Teachers can also create groups with Sutori and invite students to these groups with a code. When students have joined the group, teachers can view their project progress. So, how does Nearpod work with Sutori to ease the burden of roof maintenance, you ask? My students recently completed a Roman Emperor timeline project using Sutori and were about to present their timelines to the class. We realized quickly that day, that we were just not going to be able to hold class in my classroom. How, would we present? I created a new Nearpod lesson and, since all of my students were in a group on Sutori, I quickly copied and pasted the link to their timeline into my Nearpod lesson. WHAAT?! All of my students were able to view their classmates’ timelines on their computer! No whiteboard needed! Now, since I added the presentations as websites in my Nearpod lesson, I had my students copy and paste the link from the presentation popup into a new tab (this was not totally necessary, but prevents the issue of losing the page if the tab closes). Could I have used Google Classroom to share the timelines? Sure. Could I have used Google Docs to accomplish this task? You bet. However, Nearpod and Sutori worked perfectly together! 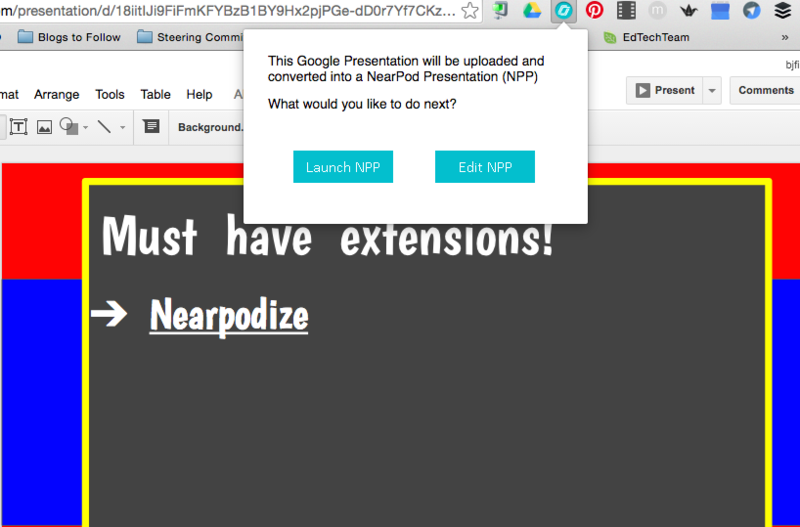 I’ve had my students use Nearpod previously to present Google Presentations … and it was fabulous! They loved being able to add interactive elements to their presentations and control what their classmates saw on their screens. However, having students create teacher accounts – especially free accounts that limited their access to features – required them to jump through hurdles, like including a description of their presentation and the appropriate grade levels for their work, was not ideal. 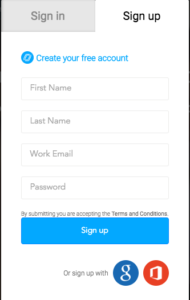 I hope Nearpod creates a student account option in the future – how awesome would that be?! How do you use Sutori? Nearpod is one of my absolute FAVORITE tools to use in my 1:1 classroom. In my dual credit social studies classes, I run more of a blended than flipped classroom in that I lecture 2-3 days per week and allow the remaining class time to be used for completing work. I try to mimic a college schedule as much as I can, and since I see my students every day, this plan works pretty well. One of the many reasons I love Nearpod is that it helps me create an engaging, interactive environment for my students. No longer are my presentations simply projected on the white board while my students frantically copy down information. Now, my Nearpod lesson is displayed on their individual Chromebook which allows them to not only view the information without peering over the heads of their classmates, but also allows them to interact with the various images, virtual tours, and activities within the presentation making it much more FUN! Nearpod offers various account levels, each providing different perks. The “silver account” allows you to create lessons and include formative assessments in those lessons. However, it does not allow teachers to add websites, YouTube videos, games, etc into Nearpod lessons. One of my favorite features, the virtual tours, is also unavailable through the silver account. My suggestion? Spring for the “gold account!” This allows you to utilize the fabulous features of Nearpod that promote student engagement – virtual tours of awesome places ranging from Pyramids to Mars and everywhere in between, awesome 3D images and more! The gold account starts at $10 per month per teacher and is definitely worth it. Read more about pricing here. Are you looking for an engaging lesson for your students and don’t have time to reinvent the wheel? Check out the awesome lessons library! Search through the lesson library, set filters that relate to your content, and add free (or inexpensive) lessons to your account! It’s fantastic! Do you use Common Sense Education curriculum at your school? 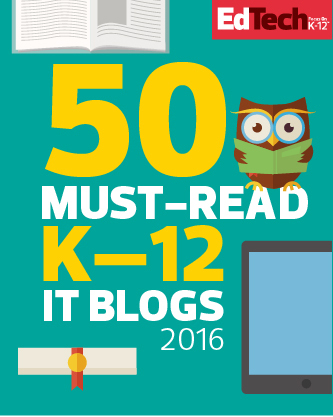 Be sure to access the lessons for each unit! When you’re ready to create your own Nearpod, you have a few different options. Teachers can create Nearpod presentations through the “Create” feature on the dashboard page. This allows you to upload a file from your computer, in a PNG, PDF, or PPT file to create a presentation or individual slides. OR … you can us e my personal favorite, the Nearpodize extension! Most of my presentations are created using Google Slides. 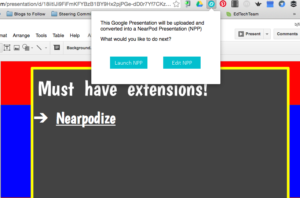 To quickly create a Nearpod lesson from your Google Slides presentation, simply open your presentation, select the Nearpodize extension, and watch the magic happen! It’s fabulous! Now, you’re ready to get started with Nearpod! 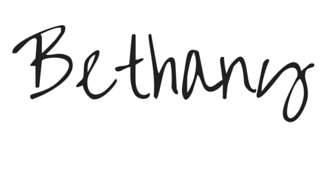 Check out this post for more of my favorite Nearpod features! If you or your school district would like more information about how to use Nearpod in the classroom? Please let me know! I would love to help you learn about and love using this fabulous tool! !